Last Saturday, after a morning spent working my domestic goddess magic on our home, I received a lovely surprise visit from Mum and my sister, Emily. Since moving out, having them both around is definitely something I really miss about home, it was always comforting to know that they were there for a chat or a moan whenever I needed them, I really love it when they pop round for a cuppa and a catch up. 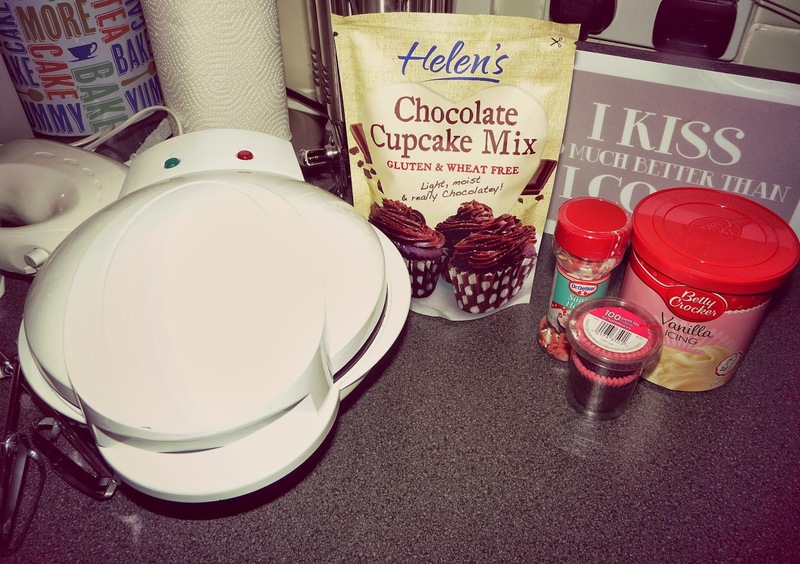 All ready to make some lovely cakes! who actually did most of the work, I just posed for the pictures! 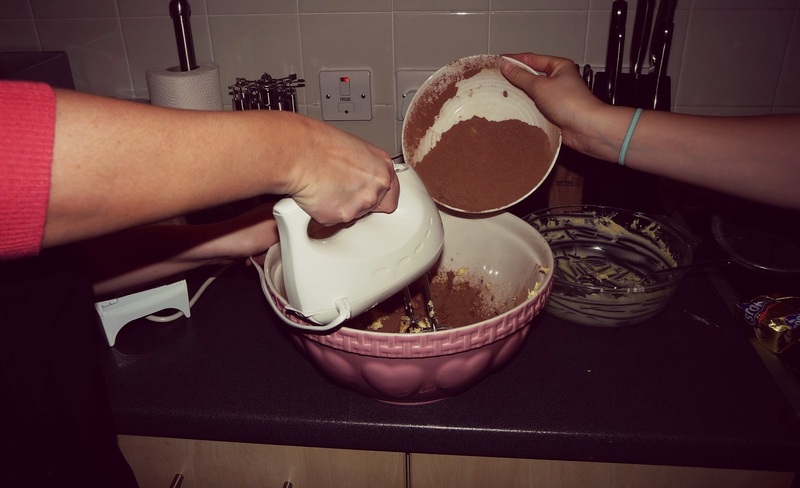 the first bowl I put the mixture in was too small so the wizzer flicked the mix everywhere- oops! 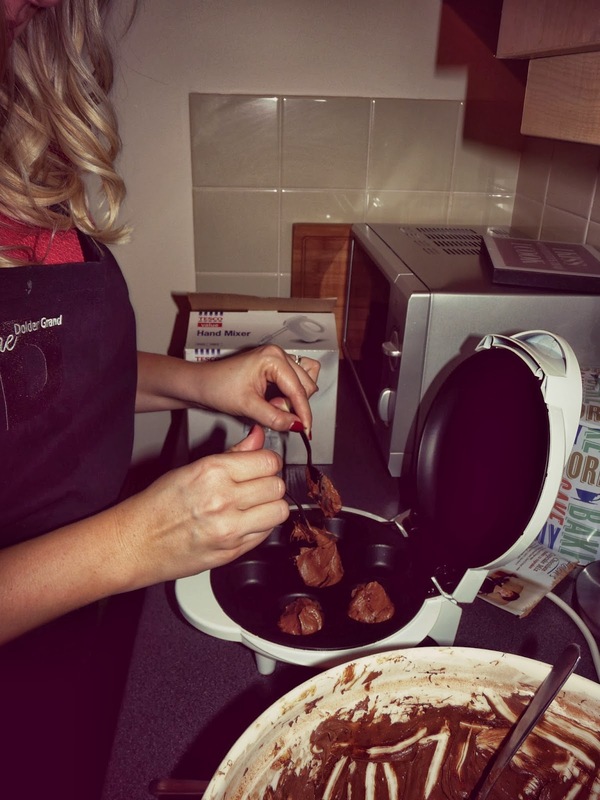 Once the muffin maker was hot- simply spoon the mixture into the holes and put the lid down…done! 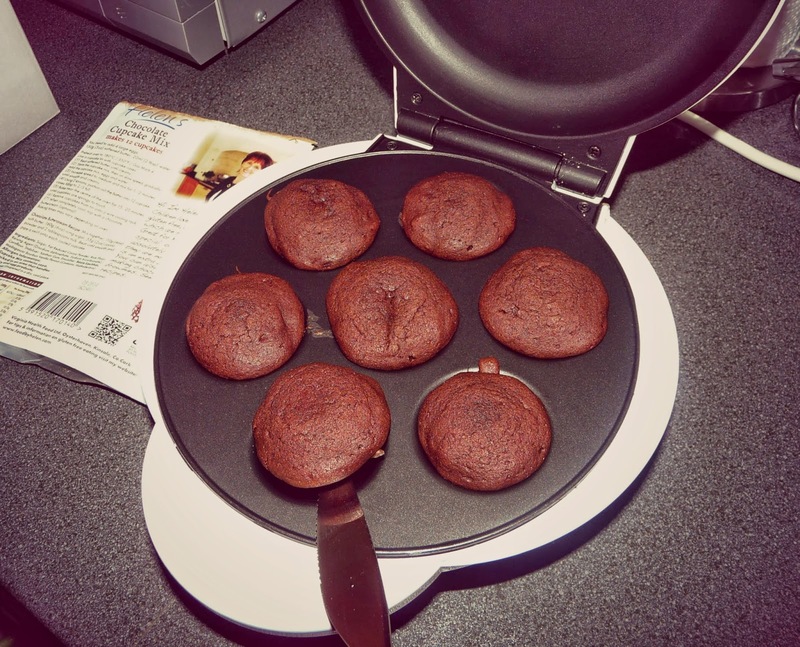 When cooked they just pop right out of the muffin maker- no mess! I’m not faffing with homemade stuff when the £2 tub tastes a whole lot better and makes a lot less mess! Ta Da!!! 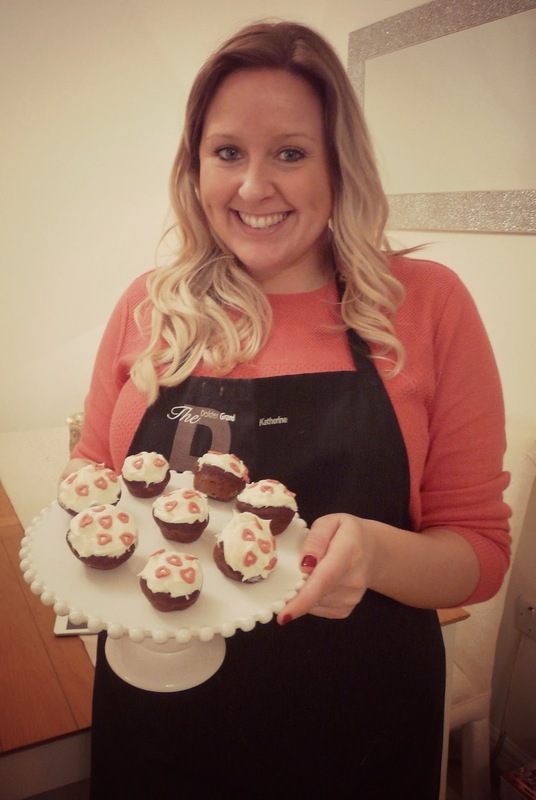 Mini Gluten Free Valentines Muffins…love it! To say that the muffin maker was magic is an understatement. It was fan-blooming-tastic! It was so quick, mess free and really easy to work. It literally took 12 minutes to make a batch of seven mini muffins. I highly recommend purchasing one of these bad boys from Tescos which can be found here. 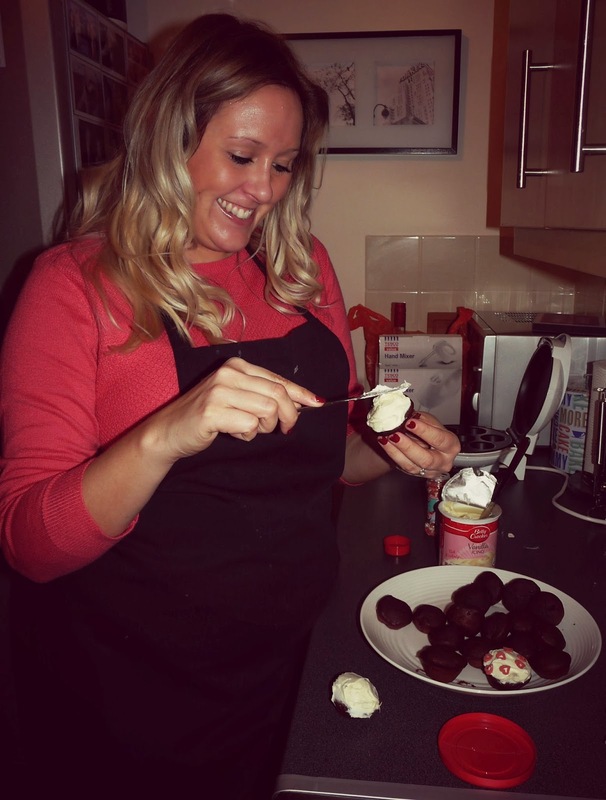 We were really pleased with our Mini Gluten Free Valentines Day Muffins…and they tasted really good too! 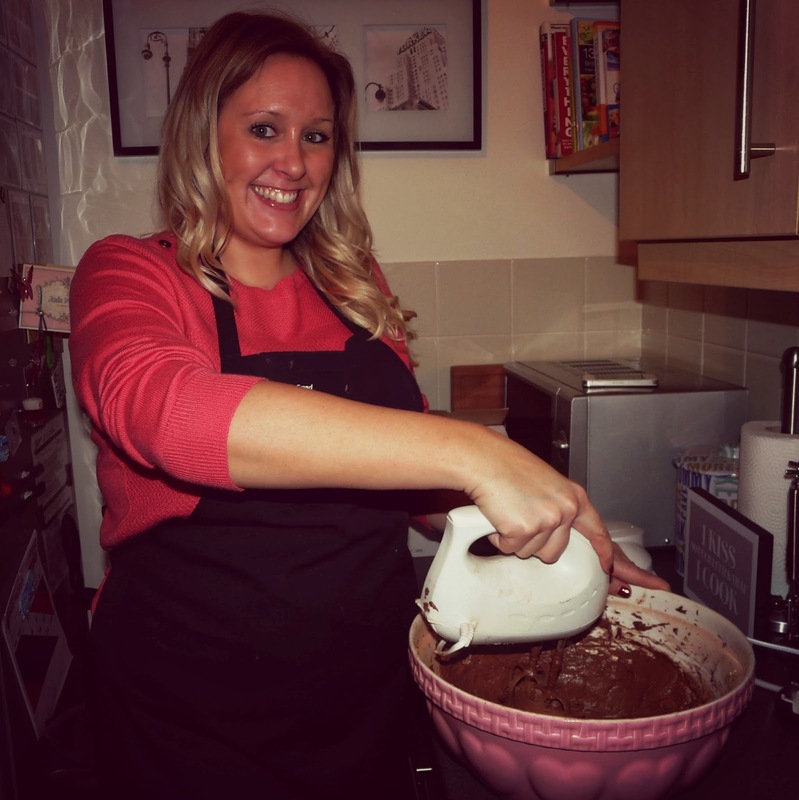 Non-Coeliacs even complimented on how good they were and said they didn’t even taste GF, so it’s a win win all round- well done Helen’s Gluten Free Foods, I’ll be using your products again that’s for sure! Huge thank you to Emily for doing most of the hard work and for clearing up whilst I dipped in and out just to pose for photos…you are a superstar! 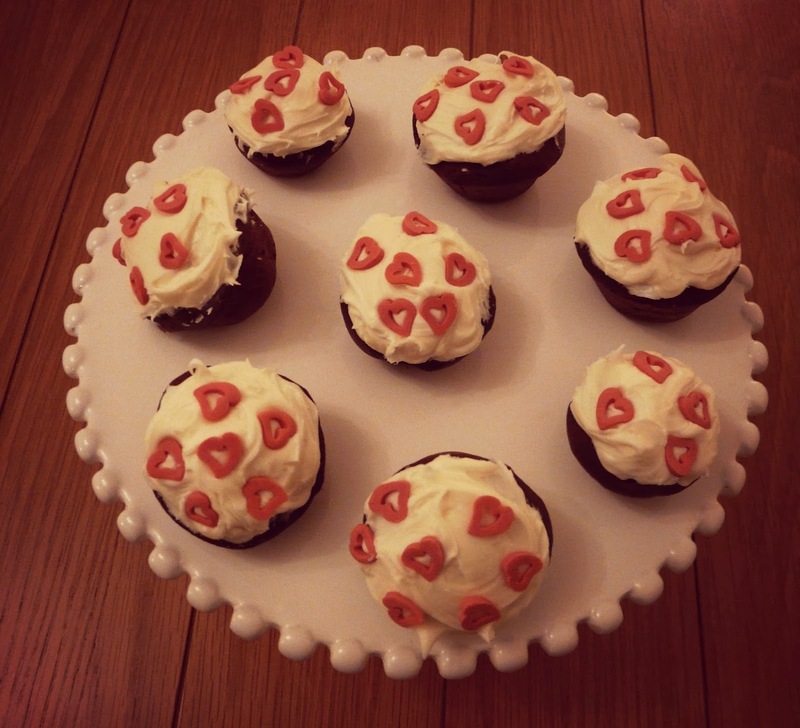 Have you made any Valentines Day treats this week?